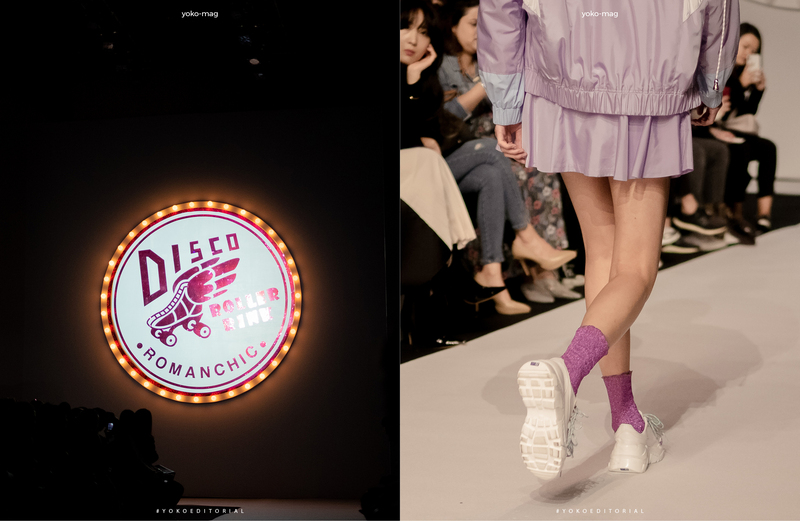 The concept behind Romachic’s fun and eclectic collection is the disco culture. The retro bold outfits styled with colourful fur slides invoke the joy of dancing and the adventure of a roller rink . 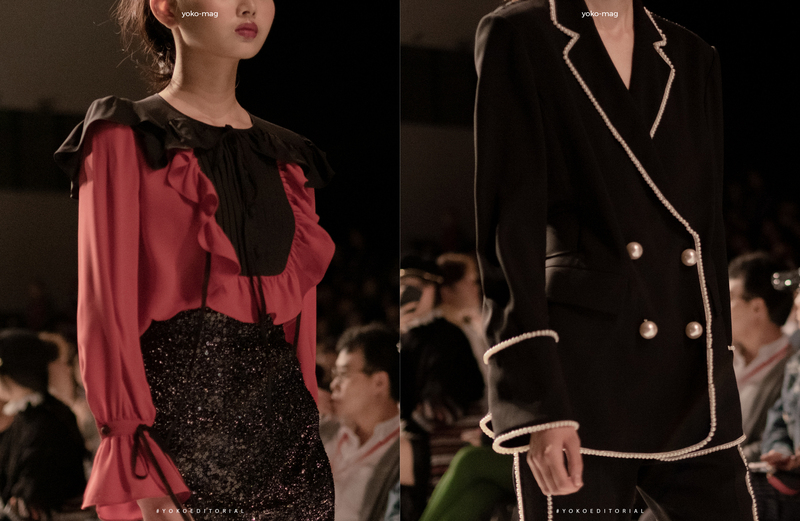 The contrast between the more fun and youthful outfits and the signature feminine and sophisticated monochrome outfits spoke to me of the rise of the empowered women of this time. A few standout details from this collection were the neon gathered chiffon slides, various forms of lace details and sequin accents throughout the collection. The collection was a perfect contrast of disco culture with the sophisticated woman. The darker, more sophisticated outfits were quite eye catching against the retro pieces and my favourite, the black pijama suit with white piping brought depth to an otherwise light and fun collection.